I attended the 2014 Circle of Sisters as a spectator. My friends and I got there early and waited on a long line for the 10:00 am opening. The highlights of the day for me was listening to the comments from Jennifer Hudson, Tyrese Gibson, and Johnny Gill about The State of Black Music & Culture. Johnny Gile grew up in the Church and learned discipline from his New Edition Manager. And encouraged aspiring artists to learn the business side, read contracts. Jennifer Hudson also grew up in the Church also and feels today's artist need to more honest in there music. Stating that songs today a sometimes disconnected and don't relate to reality. Tyrese Gibson when asked what was his motivation poignantly stated he was hungery for change and felt stuck in his environment. He wanted something better for his life. He was recommended for The Coke commerical through his High School. All of these artist recognize that they have brands and are branching out into acting, writing, and merchandising. Some interesting vendors that I learned about are Kollide.tv dedicated to content that reflects diverse clultures. And I learned about Stay Focused Magazine.com that has a writers workshop in NJ every year. I also met Sheryl Lee Ralph and got a signed copy of her book "Redefining Diva" which I am looking forward to reading. It been one whole year since I've self-published African Venus. I've had a good time talking about the book and getting peoples feedback. I've accomplised some things like making public appearences to talk about my book, I've sent the book to different magazines, I've worked to attract some book clubs as well. I've sold some books and I've given some away in hopes of more exposure. I've even been approached about writing the story as a Play. Going foward I am going to focus on finding a traditional publisher for my 2nd installment, blogging, and finding a Literary Agent. I just want to thank everyone for there love and support. It was held on June 21, 2014 in Brooklyn, NY. I had met Karen at another Hair Show event last year and she purchased it. My friend Jacinth told me about her 10th Anniversary. These type of events I feel are a great way to introduce my book. I had a nice table and spoke to alot of people about the book. I am hopeful that my marketing card will be used to order the book in the future. The picture is nice with me, Karen and Renee. Karen's Body Beautiful products and in Target Stores across the country. I love supporting other Black owned business as well. This was an exciting weekend indeed. The Book Fair sponsored by the Martin Luther King Jr. Library was so special. It was held at the Barnes & Noble City Center in White Plains on Monday January 20th. I was introducted by Cora Milles, Co-Chair of the event. She knew almost as much as me about the African Venus. 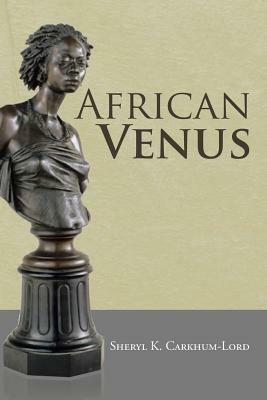 I talked about how I discover the African Venus at the Dashesh Museum of Art here in New York. And shared the book "Facing the Others: Charles Cordier, Ethnographic Sculptor with the audience. I read the first chapter of my book and I thanked the committee for allowing me to be a part of there program which included African Drummers, arts and crafts for children, and concerts. I also dedicated a copy of the book to the Library. Thanks again to all that came out to support this event. So happy for the supportive people that came out on Saturday. The Sister's Uptown Bookstore & Cultural Center is a great spot to have a book signing. I especially want to thank Troy Johnson from the African American Literary Book Club (www.aalbc.com) for coming. His website is a wonderful resource and he did my 1st book review. I also want to thank Rufus, Tina, Susan and Bernadette for there support. It was a great afternoon and evening. Pictures attached..
and a percentage of the purchases will benefit the Library. My book will be featured at the Miami International Book Fair. This BF runs from November 22nd to Nov 24, 2013. This is a very good place to showcase a book. I wish I could be there to mingle with the people and talk about my book. I am hoping to get pictures and feedback from the vendor BookWhirl. I am excited that my 1st Book Review is finally here ! I am excited to announce that Indies Unlimited is featuring my book on their website effective today. This site is dedicated to helping new self-published authors get some exposure. I am honored to be a part of their line-up of books.